Enjoying Rome is a new sensation for me. It started last fall when I returned after a very long absence and surprised myself by falling in love with the city. There’s something about it that resonated with me on my recent visits that hadn’t happened before so, when I learned that my Viking oceans cruise ended in Rome, I knew I wanted to extend my stay. I spent two days in Rome after the cruise, with the mission of enjoying the city’s holiday traditions as well as revisiting favorite spots around town. 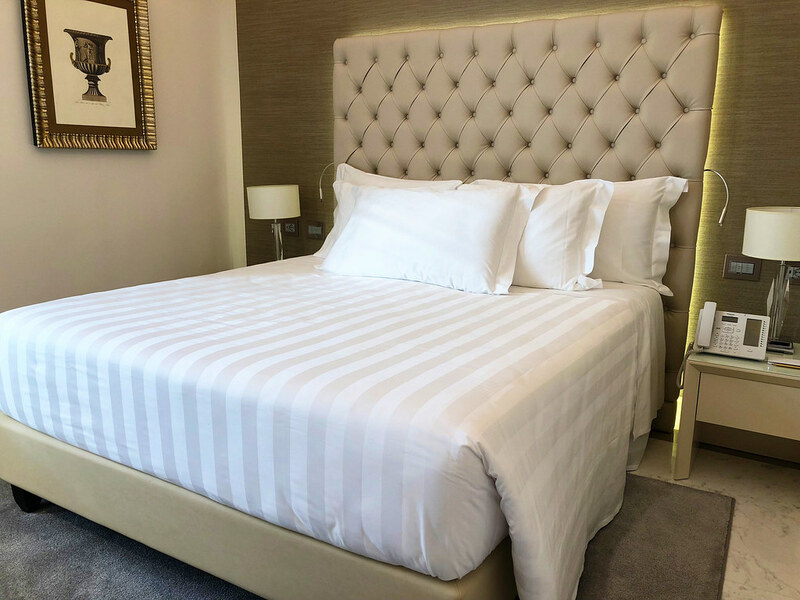 Since my time was so limited, I knew that selecting the right hotel was key and I couldn’t have picked any better than the newly opened Aleph Rome Hotel. While it was my first time staying at the Aleph, I’m no stranger to the collection of which it is a member, the Curio Collection by Hilton. I love the newish trend of boutique luxury hotels opening around the world, and the Curio Collection highlights some of the best. These are smaller hotels that are well located, beautifully designed and which feature high levels of comfort and service. 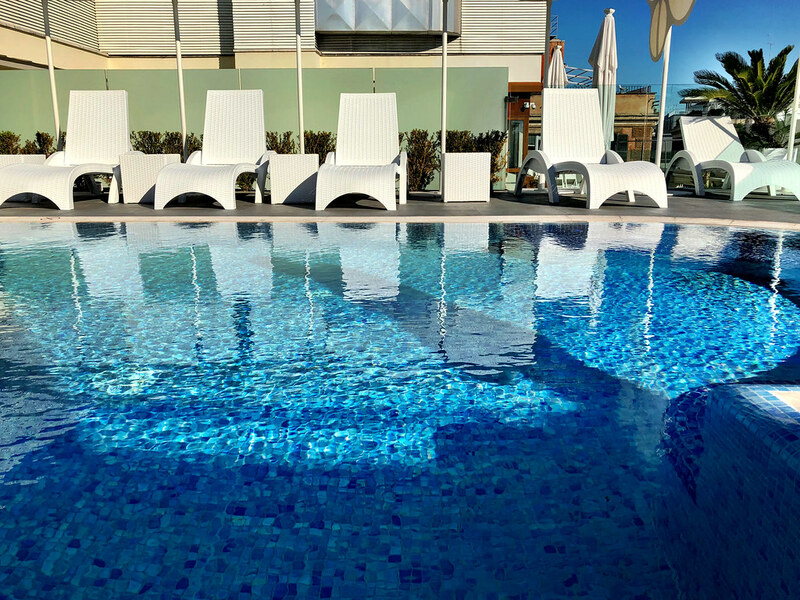 Based on my previous Curio experiences in Philadelphia and Florida, I knew I wouldn’t be disappointed but even I was surprised at the wonderful experience I enjoyed at the Aleph Rome Hotel. I love hotels with history and a sense of place, and the Aleph embraces the unique history of the property exceptionally well. Starting life as a bank headquarters, the beautiful Art Nouveau lines and fine details can be found throughout the hotel, from the impressive lobby to the bank vault that leads to the fitness center. The Aleph also enjoys an incredible location, calling the stylish Via di San Basilio home. Nearby are shops, restaurants, embassies and quiet parks, but it’s also located near all of the attractions any good tourist wants to visit. I didn’t need cabs or even Uber during my stay, walking to the Spanish Steps, the Trevi Fountain and the Pantheon were all easy and the sights along the way made the treks fun in their own right. When short on time location means everything, and the Aleph enjoys what I think is one of the best spots in Rome. As soon as I walked through the front doors of the Aleph Rome Hotel, I knew that this was no ordinary property. The finely dressed doorman tipped his cap, bellowed an enthusiastic “Buongiorno!” and welcomed me with style into the exquisitely designed lobby of the hotel. Fully embracing its past, I felt as if I walked into the era of Gatsby not just thanks to the design of the lobby, but even smaller touches in the hotel’s restaurant, bar and lounges. There’s a lot to be said for ambiance, and it carries through to all areas of the hotel and especially the rooms. With high ceilings featuring detailed moldings, the rooms truly are havens of peace and quiet in what can be a frenetic city. While lovingly designed with a nod to the past, everything about the hotel is also new and modern. Well-placed outlets in the rooms, soft beds that seemed to envelop me as I sunk into them and large bathrooms all create a luxurious experience I know I won’t soon forget. I always say though that luxury isn’t just about the trappings, it’s about the intangible, it’s about the service and feeling of hospitality. Here also the Aleph shines, with staff that are honestly amongst the kindest I’ve ever met. From that warm welcome to recommending an Indian restaurant when I had a craving, they went above and beyond many times, even when I had a slight medical issue. On the last day of my trip a tooth had become abscessed, eventually leading to emergency surgery once I was back home. But the staff at the Aleph took amazing care of me, even providing me with finely presented salt and water so I could properly rinse. It may not have been their most glamorous moment of providing outstanding service, but it meant the world to me and for that, more than anything else, I am indebted. In today’s modern travel environment this level of caring and hospitality is rare, which makes it even more extraordinary when we finally do discover it. Like most Curio Collection properties, food is also an integral part of the experience at the Aleph Rome. I always love a great hotel breakfast, but even I was surprised at the setting for the Aleph’s morning ritual in their Gatsby-inspired 1930s Restaurant. Stylish but comfortable, it’s a fantastic place to start the day. 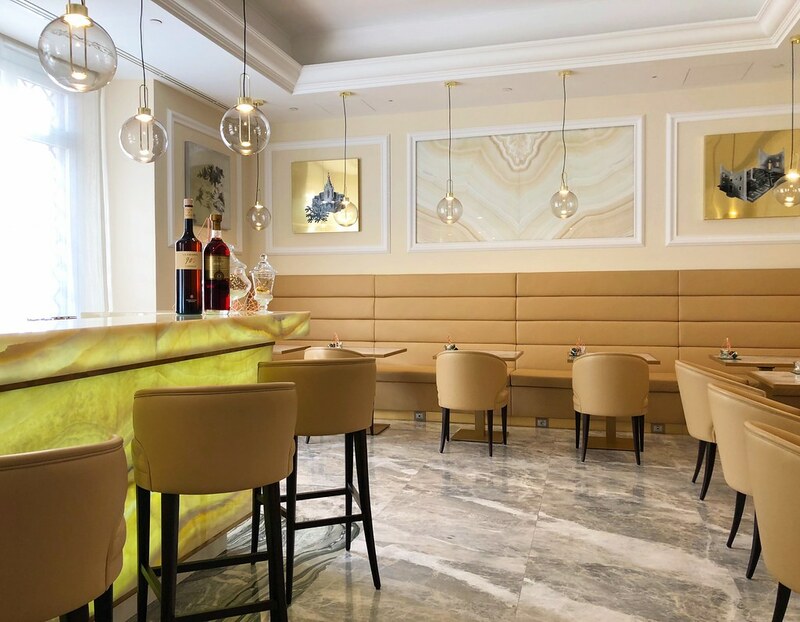 For something a little more adult, the ONYX Lobby Lounge and Bar is very much the social hub, with its light colors and inviting design it’s definitely not a typical hotel bar. The star of the show though is found on the rooftop at both the Sky Blue Pool Terrace and the accompanying restaurant. With amazing city views, it’s the ideal place to relax and unwind and the rustic Italian menu at the restaurant offers up a traditional trattoria experience that I think is amongst the best in the city. Hotels like the Aleph are gradually changing the perception of hotel restaurants and I know that as the Aleph becomes more well known, that it will be one of the city’s great hot spots. Consistency is important to me when it comes to hotels and hospitality. I don’t usually trust independent hotels enough to let them serve as my travel headquarters when I’m on the road. That’s why I love concepts like the Curio Collection by Hilton so very much. The hotels themselves are indeed independent, boutique luxury properties but, thanks to their relationship with Curio and Hilton, I know that I’m guaranteed a certain level of service and care. It’s the perfect mix of new and familiar and is one reason of many why I look for them whenever I travel.